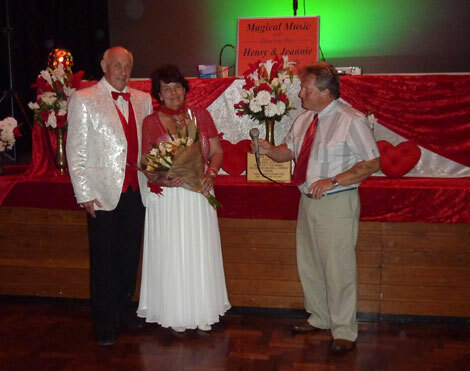 Jeannie & Henry Clark, the Dancing Duo, presented a cheque to HeartSWell South West, at a very well attended evening at The Elm Centre, Plymouth, bringing their total donations to date, to a new total of £20,000. The Dancing Duo's popular ballroom, latin and sequence dance events are held throughout the South West at various venues in Plymouth, Dawlish, Torquay, Broadclyst (Exeter) and West Hill (near Ottery St Mary). Jeannie and Henry were presented with a certificate from HeartSWell and a bouquet of flowers, thanking the couple and all their dance members for their contribution towards the recent purchase of essential life-saving cardiac equipment for various, South West hospitals and defibrillators for major organisations.